Our grand lady, the ’98 boat recently arrived in the city of Bremerton. She arrived there to complete her service to our country. She takes with her depending on the individual sailor either a small or large piece of our heart. Testimony to that was the arrival to Bremerton of a fair number of her boys to bid farewell. I, unfortunately, had a family member to assist and had to make the choice to deny myself this pleasure. My heart was most assuredly in Bremerton with my shipmates. Who are we? The boys of the Bremerton. Where do we come from? What motivated us to leave our homes and our families and by fate arrive onboard the Bremerton? The answers to these questions are as varied and diverse as we are. Regardless of the answers to these questions, we all arrived at one time or another to do our duty assigned to this boat. When we arrived that was the family we came to know and dare I say, love. I could fill pages on my gypsy life from birth to arrival in Bremerton. I will spare you that. The bottom line for me I am an Alabama boy with a good ole boy upbringing involving copious outdoor activities and sports involvement. I was a terrible student in school and learned rickey tick in sub school the submarine force was not for the academically challenged. To survive required extreme determination not to lose, the patience of my superiors and the assistance of a few very close shipmates. And speaking of very close shipmates. 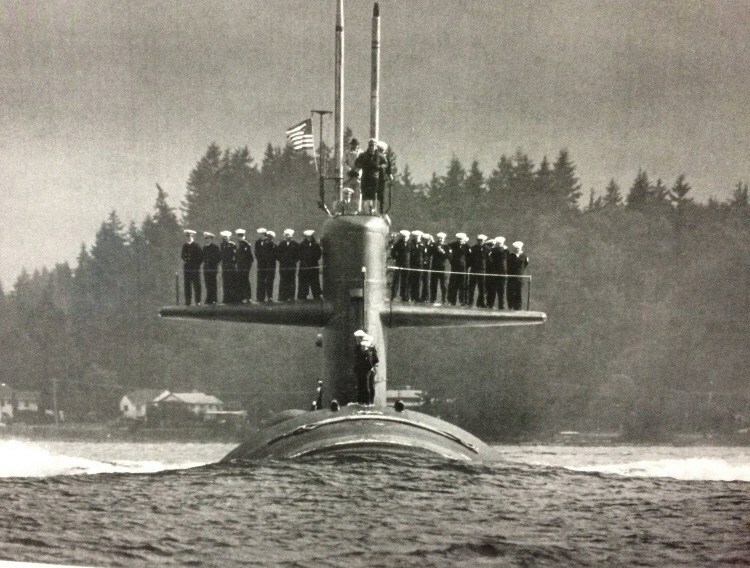 In seeing the photos shared by those in attendance at the most recent Bremerton soirée it is obvious there is a camaraderie among all who served in her. But as we all know we developed and nurtured friendships with a few shipmates we seemed to gel with. At the time who they were, where they came from was not a deterrent, rather their differences in some cases enhanced our desire to know them and be connected. My group if you will include a Brooklyn NY. fellow I should have had nothing in common with. He liked disco dancing and was quite good at it. He did not have a driver’s license and dressed pretty sharp. Another was a wannabe cowboy from Pennsylvania. He was not a drugstore cowboy that was all fake. He just loved the cowboy way and wanted to make it part of his lifestyle. Spending my high school years working a cattle ranch drew us together. That and the fact he was hilariously funny and could be counted on to say what he thunk. A skinny redhead from Indiana who humbly allowed his name to be reversed and ran with it. My crew included all of the junior cooks. A fisherman from Florida, A salty dog from Michigan, and an innocent waif from Manitowoc, Wisconsin. I will not try to include the full posse but you get my drift. Each and every one of us can describe a group like this. I know from the photos described above that the boat sailors came together and many had not been together for decades. Despite this, you enjoined conversations as if it had been days since your last meet. Even ’98 sailors who had come from different times. Each thought of as a brother by the other. Regardless of background or personality. Immediately accepted as a brother. This really hit home to me last week. In my work as a Facilities Director for a local school district, I attend a monthly meeting attended by the Directors from the other area school districts. After our meeting, we go to a local eatery and have lunch as a group. It is great fun and there are good conversations. I notice in almost every lunch we tend to gravitate when sitting down to those we share the most in common with. I can tell you a boatload (pun intended) about the couple I tend to sit with. How many guns they have, what calibers, where they shoot. You know important stuff like that. The fellows on the other end of the table. Not so much. I usually know their names but sometimes struggle with what district they represent. I can still tell you so much about my shipmates from the ’98 boat but these men I see regularly I know very little. It does not take a brain surgeon to understand with my peers today we have no sense of shared sacrifice. We go home daily to our families, our focus is there. Not on our fellow Directors. To travel back in time, how many of us in our time together stopped for even a second to comprehend the searing impression our shipmates were making upon us? The eternal bond our journey was creating. The diversity of personalities and backgrounds we brought to the table and how regardless of our differences we were coalescing into a hardened group that could not be torn apart even by decades of separation and lack of communication. The main ingredient in this formula was, of course, our lady USS Bremerton. I have written before of my own shortcomings in my appreciation for her at the time I was serving in her. As I have observed from afar the recent festivities in Bremerton and the obvious love my shipmates have for her and each other it reinforces in me the absolute privilege that was afforded to me and us by making the simple choice to join the Navy and volunteer for submarine duty. USS Bremerton SSN 698 is the bond we share. I thank God and the hand of fate that took me there. Just sayin’ ROLL TIDE! Russ Woods is a USS Bremerton SSN 698 Plankowner and I want to thank him for sharing his heartfelt insights. Inspired by a quip by shipmate Rich Crombie at the USS Bremerton Last Tour Reunion Dinner. Photo Left: 1985 – Petty Officer Yee agrees to work with Cmdr. A.R. Beam, Commanding Officer of the USS Bremerton, 33 years in the future to organize a reunion and tour. Photo Right:2018 – Challen Yee and Captain Alan Beam standing by the Navy Museum at Puget Sound Naval Shipyard (USS Parche Sail Monument) the tour pickup location of the Final Tour of the USS Bremerton (28 May 2018). P.S. There’s a difference between something (i.e. this raffle drawing) happening by fate and happening by the hand of man. This was not by the hand of man and that’s what makes it very cool. Due to the necessarily short-term preparation for this reunion, we are asking all participants to purchase their own accommodations, we recommend the Fairfield Inn & Suites by Marriott (we have a block of rooms there of your convenience that you can reserve by MAY 15th) to be in the area of the Bremerton Boardwalk, the USS Turner Joy, the Horse and Cow, the Puget Sound Naval Museum and other local attractions. Area is close to Ferry terminal. 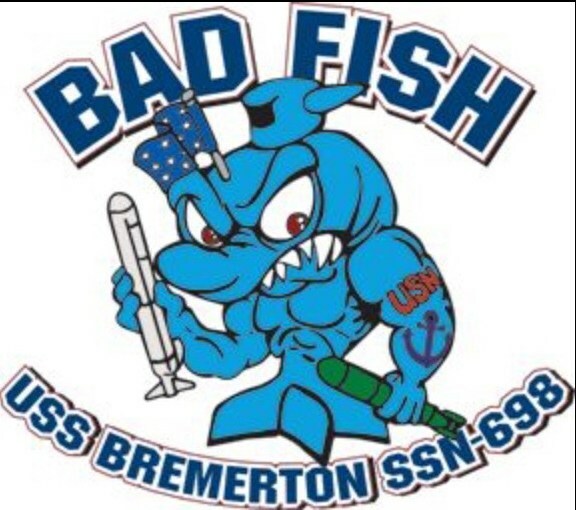 I repeat, We have a block of rooms reserved for USS BREMERTON SSN 698 REUNION at $109 per room per night at the FAIRFIELD INN, check it out and compare. Other hotels are available within short driving distances at lesser cost, you do the research. BNBs are another option for the adventurous. USS BREMERTON returns to Pearl Harbor for the last time after WestPac deployment 2018 (photo: US Navy). EVE: HORSE and COW Continued / UNPROGRAMMED DINNER – (698 SUBMARINER’s PICK) Restaurant Adventure. EVE UNTIL 02:00 = HORSE and COW until the COWS COME HOME. 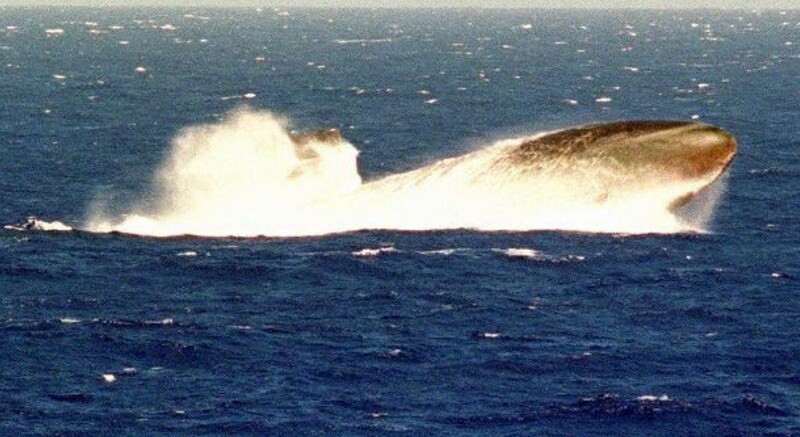 The Decommissioning Committee is seeking PLANKOWNERS and Plankowner surviving next-of-kin from USS Bremerton (SSN 698) to take special part in the upcoming Ceremonies, details TBA. All 698 Alumni are welcome to take part in the Ceremony events.